Ben Sasse (pictured above to the left) is a United States Senator from Nebraska. 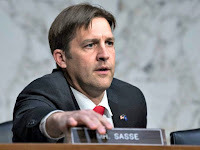 Back in 2017, the extremely right-wing Chair of the Republican Party in Iowa called Sasse an "arrogant academic." Sasse was due to make a major speech in Iowa, and because Sasse had expressed some reservations about President Donald J. Trump, he got some pushback from the true believers. Pictured on the right is Joseph J. Ellis. Ellis is a bonafide academic. He is an American historian whose work has focused on the revolutionary period. 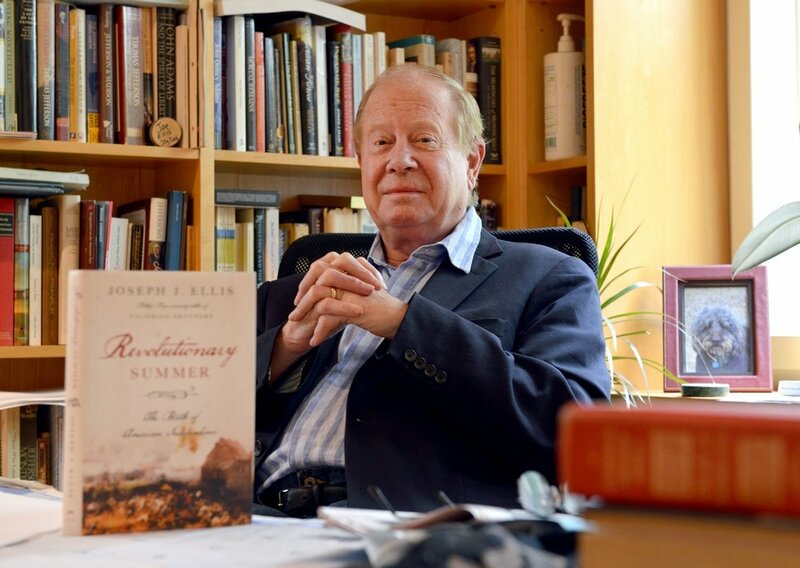 Ellis' book, Founding Brothers: The Revolutionary Generation, won the 2001 Pulitzer Prize for History. It was also a bestseller. 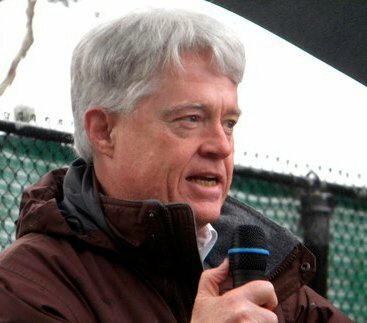 Before his retirement, Ellis taught at Mount Holyoke College, located in Massachusetts. As far as I can determine, Ellis has never once made a speech in Iowa. I also found no documentary evidence that anyone has ever called Ellis "arrogant." This introduction aside, it turns out that Sasse and Ellis have something in common. As I noted in my September 8, 2018, blog posting, Sasse thinks the Supreme Court has been "politicized," largely because Congress hasn't done its job. In an article in The Wall Street Journal, titled "The Supreme Court Was Never Meant to Be Political," Ellis agrees with Sasse. Ellis counsels us, as citizens, to "lower our expectations" about the ability of the Court to resolve our differences. I would like to add, speaking for what I think Sasse would say, that we also need to "raise our expectations" about what Congress should do. If the people are looking to the Supreme Court to solve the nation's most difficult political controversies, they are looking in the wrong place. The people's fervent wish that the Supreme Court will act to revolve our differences has come about because no one has any respect for the ability of the Congress to do anything at all. Let me say it again (repeating what Sasse says): We need to demand a lot more from Congress. Since all Members of the House of Representative face an election every two years, we have the ability to make sure that happens, too!